Take care of people on the board and become a leader of the resistance against aliens. If you like this free game, try Goodgame Empire. Fascinating and entertaining space action game. Simple and clear management. More than 90 kinds of enemies and twelve kinds of weapons. 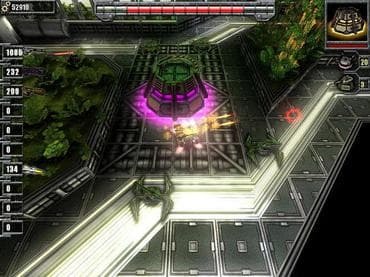 Download free full version pc game today and destroy all aliens! Free Game Features: - Real action game; - Modern 3D graphics; - Extraordinarily addictive game play; - Unique power-ups; - Gorgeous effects, huge explosions! - Original soundtrack and powerful sound effects; - Save / Load game option; - Game statistics; - Free full version game without any limitations. If you have questions about Critical Damage game, please contact us using this form.